(SOLD OUT!) Ooh la la! 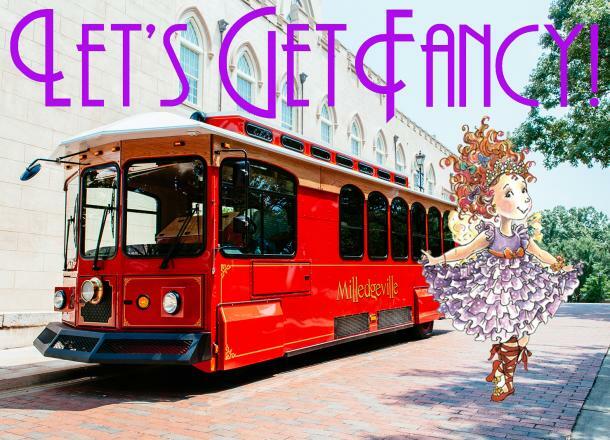 Make a date with 'Milly' the Trolley and dress up in your Sunday finest for a tea soiree on Saturday, May 4th. Grab your favorite little gal pal for some fancy fun including a story time, craft, and hot tea and hor d'oeuvres (that's fancy for treats) at the Antebellum Inn! It will be a fantastique fete! There will also be photo opportunities, so be sure to bring a camera! Tour times: 1:30-3:00 p.m. (SOLD OUT) and 3:30-5:00 p.m. (SOLD OUT) Spaces are limited so be sure and purchase tickets in advance.